A Nebula and World Fantasy award nominated fantasy and science fiction author. Park also taught writing at the Clarion West workshop. • At Lightspeed: "Get a Grip" 1997. "This kind of storytelling used to drive my ex-wife crazy. 'It’s so pointless. It’s not like you’re pretending you’re an astronaut or a circus clown. That I could see. But a Canadian?'" Audio at same link. • At Infinity Plus: "The Tourist" Science Fiction. 1994. "Everybody wants to see the future, but of course they can't. They get turned back at the border. 'Go away,' the customs people tell them. 'You can't come in. Go home.'" 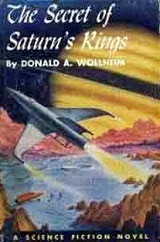 A Nebula, World Fantasy, British Fantasy, and Locus Poll Award winner, Wollheim was a science fiction editor, publisher, writer, and a founding member of the Futurians. He founded DAW Books in 1972. • At Project Gutenberg: The Secret of the Ninth Planet. Science Fiction. 1959. "The drop in channeling from Planet III that had occurred some time ago had thus far not caused too much concern. It was assumed by the other intelligent beings involved that the matter was possibly a weather condition, a volcanic discharge or quite simply that the planet was in unfavorable orbit. Not all the stations ever worked simultaneously. There were always some behind the Sun, or blocked in some other manner. But the main channels were at work, and the different lines and shifts continued to build up satisfactorily." • "The Embassy" Dimension X (1950) and X Minus One (1955) Science Fiction. "A detective agency is hired by a crackpot who wants them to investigate and expose a nest of Martians sent to prepare the way for an invasion of Earth." - OTR Plotspot. An English author and art collector, Beckford is best known for the Gothic novel Vathek (1787). Vathek, along with Horace Walpole's earlier The Castle of Otranto and Mary Shelley's later Frankenstein, had a profound influence on later gothic and horror stories, and to some extent on the fantasy genre. "The Caliph, in the mean while caused the palaces of the senses to be again set open, and as he found himself prompted to visit that of taste, in preference to the rest, immediately ordered a splendid entertainment, to which his great officers and favourite courtiers were all invited. The Indian, who was placed near the prince, seemed to think that as a proper acknowledgment of so distinguished a privilege, he could neither eat, drink, nor talk too much. 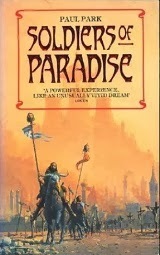 The various dainties were no sooner served up than they vanished, to the great mortification of Vathek, who piqued himself on being the greatest eater alive, and at this time in particular had an excellent appetite." 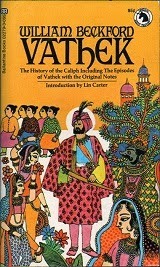 Audio Fiction at LibriVox: Vathek, read by Morgan Scorpion.